Stackable for efficient storage. Made of virgin polyethylene for longer life. Pallet is maintenance free and safer to handle than wooden pallets. Features four way entry. Serrated deck with holes for drainage. 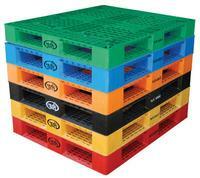 Plastic pallets are ideal for export, pharmaceutical, medical and food applications. 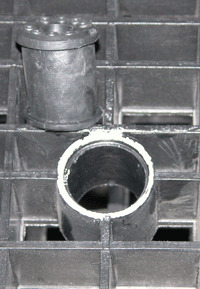 No steel inserts - not for use in unsupported pallet rack, except for model PLPR-4840.